Jane Austen and Lord Byron on banking with smartphones. Illustration by and © Copyright Anton Emdin 2015. All Rights Reserved. Please do not reproduce without express written permission. 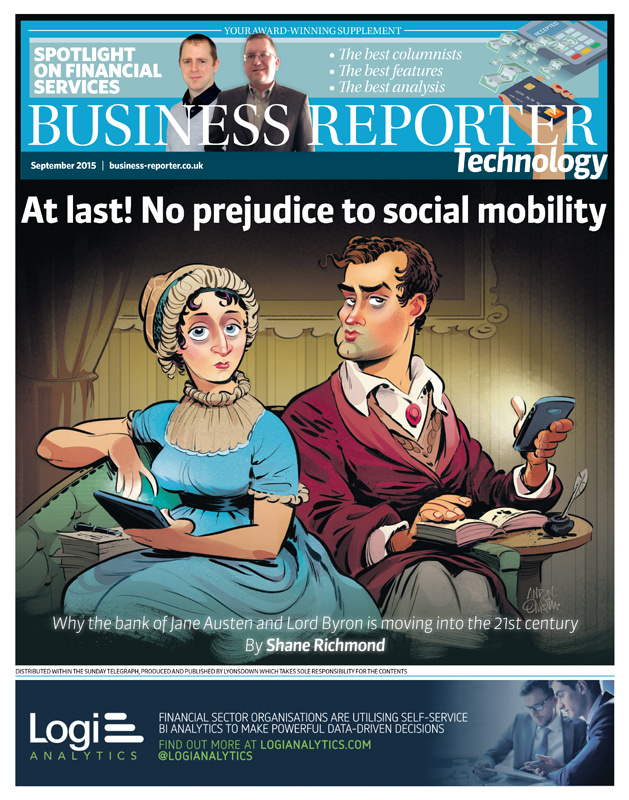 Cover art for 'Business Reporter' featuring writers Jane Austen and Lord Byron.